lifetime of pages: SOUS Friday Reveal! Yup, it's another Friday and time for a spankin' new sketch! All my flowers are created with the Tim Holtz Tattered Florals dies and this tute with lots of misting and gesso and fun messy stuff. 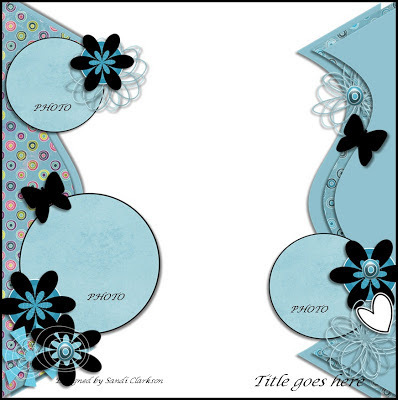 My title chippie is from Gina's Designs-isn't it sweet? About A Girl is also sponsoring a "Use A Doily" Challenge here. So, give it a try and link it back up to the SOUS blog and you just might be voted one of the Top # and snag a badge of honor for your blog! That is absolutely stunning! I love what you did with that sketch! Stunning! The flowers are to die for! I love the photo...such a pensive look! Another breath-taking page! Thanks for coming out of the comfort zone!Flowers and dark colors are amaing! that's a great page and I love your take on it, very pretty,thanks for joining us at AAG! Tracey. Thanks for sharing your page at AAG. Gorgeous design. 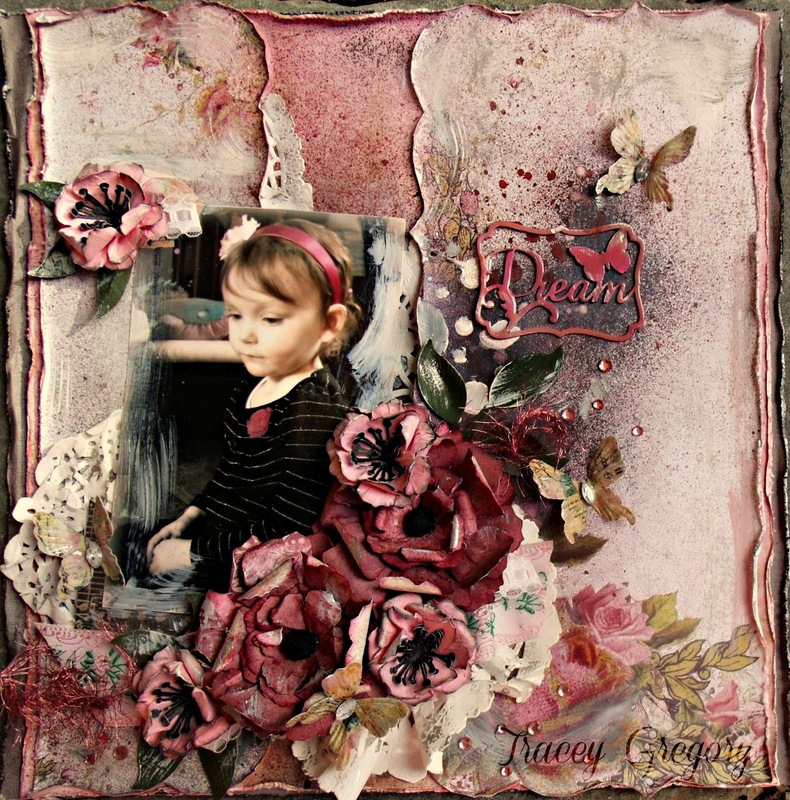 Such a gorgeous page, Tracey! You've embellished it beautifully. Thanks for joining us at AAG. Oh my, this is BEAUTIFUL...Thanks for sharing. Gorgeous technique! Your flowers are divine...and the colors along with the mood of the photo are perfect...lovely work! Thank you so much for participating at About A Girl!!! beautifully done, love this! Thanks for joining us at AAG! Absolutely stunning!! Love the colours and the flowers...beautiful. Thanks for joining us AAG! Oh my goodness, Tracey! Your pages always astound me with their beauty and creativity! This one is definitely no exception! It is just gorgeous in every single way!!!! What an amazing take on the sketch!